Open main compartment. Die-cut handle. Heatsealed construction with slim design. Reusable and recyclable. 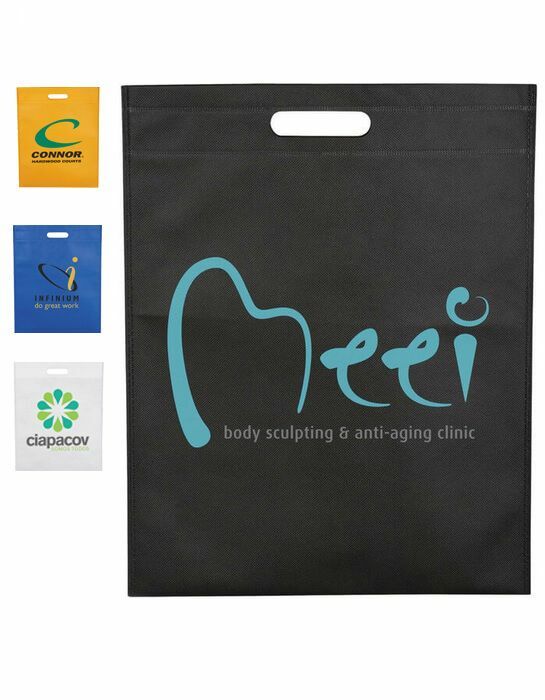 Great alternative to plastic bags or for tradeshows and conventions. Super friendly, super fast, and great to work with! Product is exactly as described. My expectations were exceeded! Quickest turnaround I have ever gotten from any company!